I was looking for something fun to put on chicken we were grilling this weekend. I looked at what I already had and discovered some very ripe peaches. I used them for my inspiration for this sauce/glaze. I started with caramelizing some onions and then adding the peaches, peeled and cut up. Kept adding ingredients until I got the flavor I wanted. We added some of the sauce to the chicken ahead of time so it would absorb into the meat. While grilling extra sauce was brushed on. There was an extra container of the sauce so we served that on the side. Saute onions in oil until tender. Sprinkle generously with salt and add the garlic and cook a couple of minutes longer. Add remaining ingredients and cook until peaches are tender and sauce has thickened. Adjust seasonings and add a little sugar, if you like. Makes 4 cups. 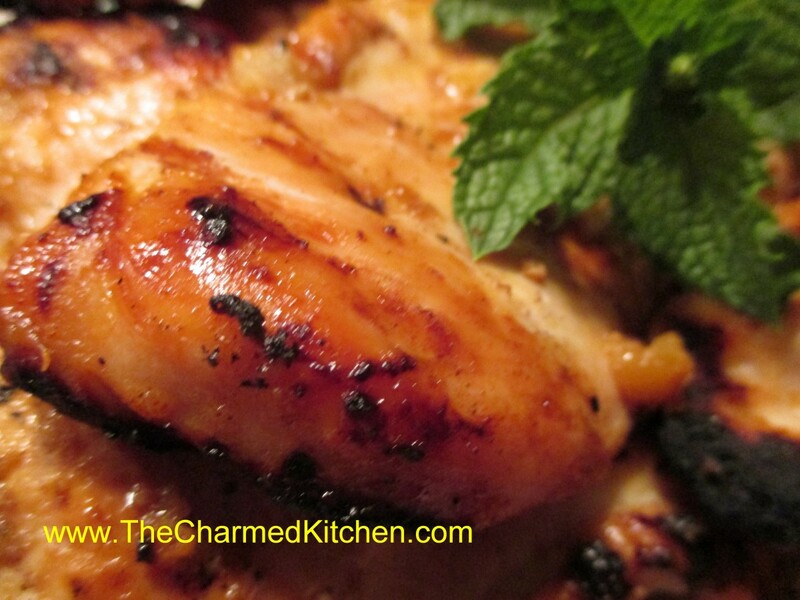 Use as a marinade, barbecue sauce or as a side sauce with chicken, pork or other meats. Any marinade must be discarded after use as it will have raw meat juices in it.